I find it fairly easy to stick to making healthy meals as I enjoy making tasty dishes from scratch. I'm lucky in that I was brought up on home cooked meals so I don't tend to crave takeaways and ready meals. I will say snacking can be my downfall. I love chocolate and I have a huge sweet tooth. 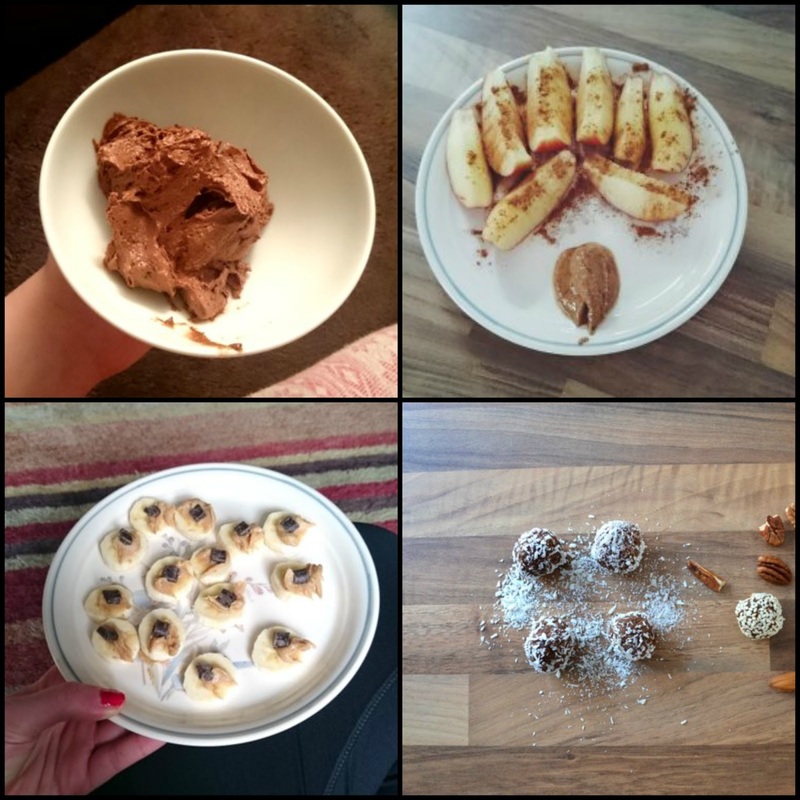 I've been trying out a few healthy snack ideas to satisfy those cravings which I thought I would share today. I'm no expert, but these work for me and I think they could be helpful to others too. APPLES & CINNAMON: Possible one of the quickest snacks but tastes so good. Just chop up an apple, sprinkle with a bit of cinnamon and serve with bit of almond butter. This makes eating fruit so much more satisfying. 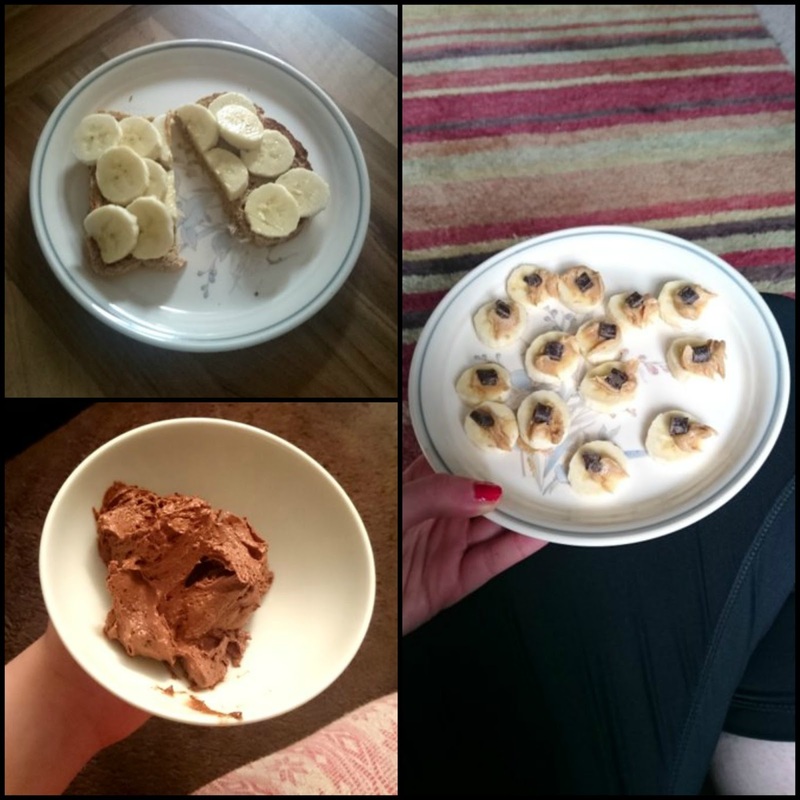 BANANA & NUT BUTTER 3 WAYS: This is a favourite of mine at the moment. The first way I do it is on toast. I use the Hovis Nimble Bread which I toast, cover with a light layer of the Whole Earth Smooth Peanut Butter and top with sliced banana. This tastes so good and is surprisingly filling. The next way is very similar, I slice up a banana, top with a little peanut butter than add a dark chocolate chip to each slice. This feels like a really treat and is really simple. The last way takes a little more effort but is so worth it as it's the best healthy ice-cream. All you do is cut a banana in slices, pop in the freezer for a couple of hours. Then put the banana in a food processor with whatever flavourings you like. A favourite of mine is cocoa powder and nut butter and it tastes so amazing. 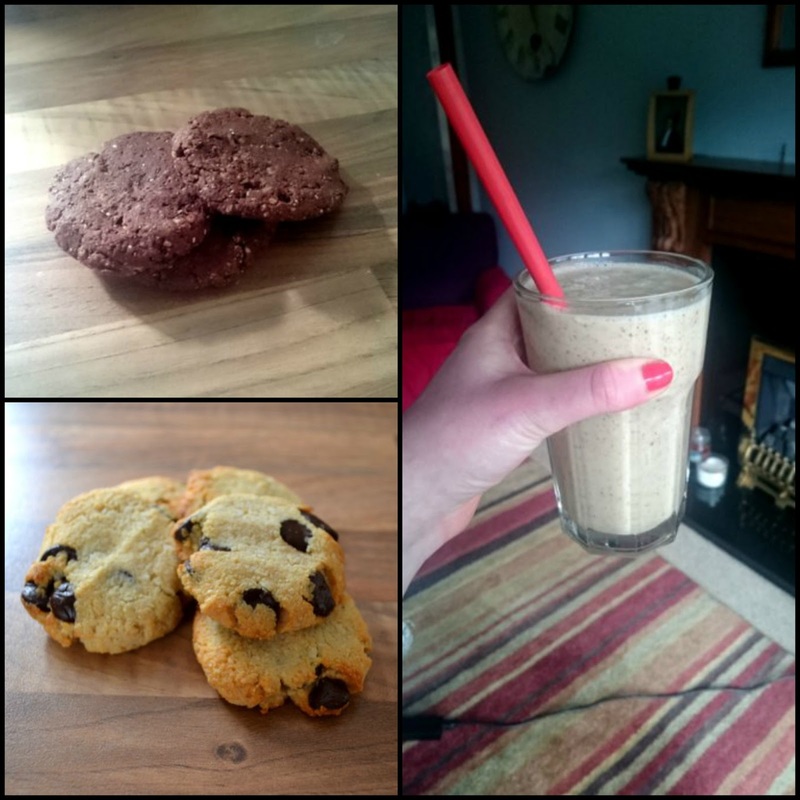 COOKIES & MILKSHAKE: A new favourite cookie recipe of mine is the Deliciously Ella Chocolate Chia Cookies. These are full of nuts, dates, chia seeds and cocao powder. These taste really good and are pretty much guilt free as they're full of good things. To go along with it this banana, date and almond butter smoothie is a new obsession of mine. It tastes so sweet and thick like an actual milkshake. The other cookie recipe I love is my Chocolate Chip Cookies. These are seriously tasty and are a great sweet treat to have without feeling guilty. Plus they're really easy to make. ENERGY BALLS: These are definitely a favourite of mine, they're great to make on a Sunday in a big batch and keep on the fridge to enjoy throughout the week. I have two different versions in this recipe and both are really good. You can really add another nuts or seeds you like or change up the topping to keep things interesting. So those are some of my favourite, easy snack ideas. All of these have basic ingredients and can be quickly made which is what I look for in a snack. They definitely help with those mid afternoon sweet cravings. What are some of your favourite healthy snack ideas?